Bedding Information: 1 King. 1 Queen. 2 Twins. OPEN PRIME SUMMER WEEKS: REGULAR $2,999/WEEK, NOW $2,399, SAVE $600/WEEK. JULY 4TH WEEK: REGULAR $3,199|WEEK, NOW $2,499/WEEK, SAVE $700/WEEK. OPEN LATE SUMMER WEEKS: REGULAR $1,799/WEEK, NOW $1,399/WEEK, SAVE $700/WEEK! THE HOLLOWAY Kiawah Island Turtle Point Villa has been TOTALLY RENOVATED. All our renters in 2019 will enjoy brand new 5-Star Rated Villa luxury accommodations AT OUR 2017-18 RENTAL RATES. Make your reservations NOW for the prime spring and summer seasons [we always sell out] and enjoy what is the most modern and luxurious 3 bedroom, 3 bath Turtle Point villa on the Kiawah Island paradise! Check out our reviews to see what our renters are saying about the renovation. 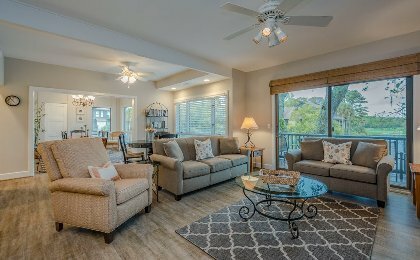 We are excited to announce that our Kiawah Island Turtle Point Villa has been TOTALLY RENOVATED. All our renters in 2019 will enjoy brand new 5-Star Rated Villa luxury accommodations AT OUR 2017 RENTAL RATES. Make your reservations NOW for the prime spring and summer rental seasons [we always sell out] and enjoy what is the most modern and luxurious 3 bedroom, 3 bath Turtle Point villa on the Kiawah Island paradise! Check out our reviews to see what our renters are saying about the renovation. Enjoy the best family, sports, beach, and romantic vacation the USA has to offer in a TOTALLY RENOVATED 5-Star villa on Kiawah Island. Located 1/4 mile from Kiawah's extraordinary Sanctuary Hotel, with its exceptional restaurants, bars, and spa; 200 yards from the Turtle Point Golf Course club house; and 300 yards from one of The Travel Channel's 10 best USA beaches-10 miles of pristine sand and dunes. 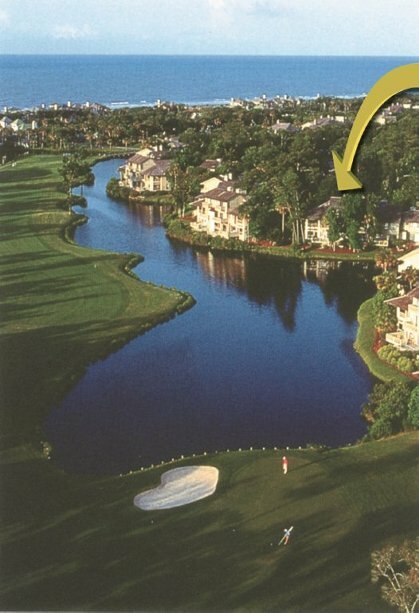 Arrow on the aerial photo points to the villa location in relation to the beach. The villa has been totally renovated with new furniture, kitchen and Bosch and Samsung appliances, washer and dryer, bathrooms, flooring, paint, window coverings and more. 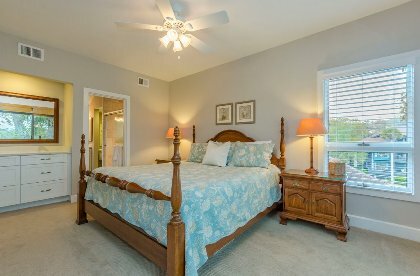 The first floor and upstairs master bedroom suite with a Charleston style king bed offer spectacular views of a large lagoon and the 18th fairway and green of the Turtle Point golf course designed by Jack Nicklaus. The elegant country French style master bath features a double sink and shower with ceramic tile and the laundry with a new Samsung washer and dryer for easy access. Relax in the living room on a comfortable new sofa and loveseat or in the new deluxe recliner chair, and view a 37" HD Flat Screen color TV with cable service, movies on demand [at renter's expense] and a movie DVD + VCR player[free]. New sliding glass doors in the living room and upstairs master bedroom open to private decks with deck chairs overlooking the expansive lagoon and golf course. The master and queen bedrooms respectively have a 32" and 24" HD color flat screen TVs. 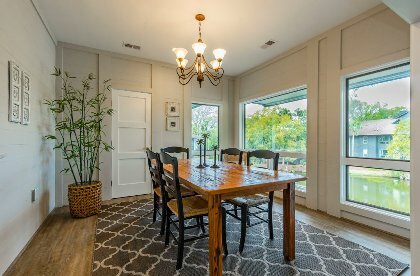 Enjoy the dining room with the huge golf course and lagoon view with family and friends on a hand-made antique heart of pine table which seats 8, or play cards and games on the recreation table in the adjacent great room. The second and third bedrooms have all new private baths with a queen and 2 twin beds respectively. 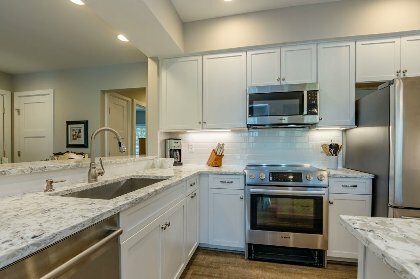 The remodeled kitchen is spectacular with new cabinets, flooring, and Bosch appliances-beautiful throughout! * The crown jewel in Kiawah's extraordinary oceanfront setting, The Sanctuary Hotel with its restaurants, bars, and spa. Because of the amenities and the fantastic beach, Kiawah Island is the perfect family vacation destination. Therefore, Summer is the peak season. However, the best time of the year for moderate temperatures and low humidity are the Fall and Spring seasons which are ideal for sports, especially golf and tennis, walking on the beach, and enjoying nature. And March and April on Kiawah and in Charleston with the near tropical plants and trees are beautiful. If Summer heat is not to your liking, then visit the Old South when the lowcountry is at its best...Spring and Fall! 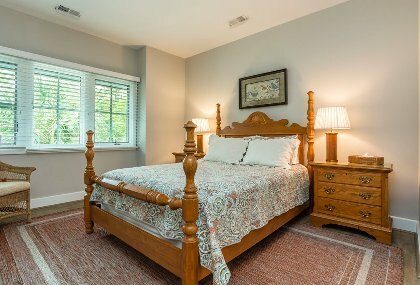 The Holloway Villa and Kiawah Island have it all: a beautiful renovated 5-Star villa, a 10 mile beach, great sports activities, hiking trails, fabulous dining, and only 40 minutes from historic downtown Charleston, South Carolina. You cannot find a more luxurious Kiawah Island scenic view villa at any price. Villa available year round. Please check rental calendar on web site for availability. Welcoming villa entrance with lush Carolina low country vegetation. Perfect Kiawah location with spectacular views of large lagoon & golf course & only minutes from the beach & The Sanctuary Hotel. Completely renovated kitchen with all new appliances, cabinets, quartz countertops, pots and pans, utensils and more! Great room has an open design for entertaining friends and family and a large screen HD TV with expanded cable service. All new furniture. Dining room with antique heart pine table that seats 8. Master bedroom has a new 27" HD flat screen TV & expanded cable service. Third bedroom has 2 twin beds with comfortable memory foam mattress toppers with a full bath with shower/tub. 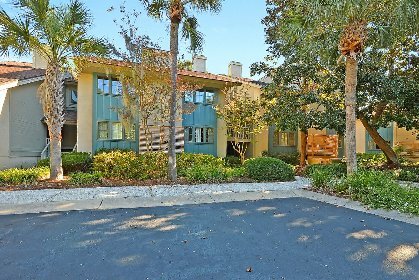 We have been coming to Kiawah for many years and were always searching for the most perfect location with an immaculate and updated condo. Three years ago we began renting this villa from the Holloways. We will never go anywhere else! The views of the golf course and pond offer relaxation without ever leaving the villa. The owners are constantly updating things to make it the best home-away-from-home imaginable. 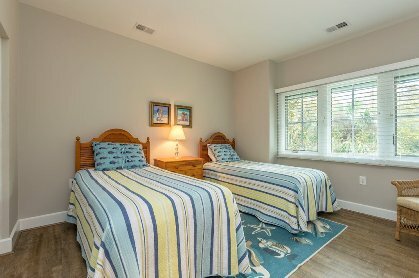 The furniture is truly nice and comfortable, the beds are great, the kitchen has wonderful appliances, the bathrooms are lovely (with the master bath being downright luxurious) and the cable TVs set-up is even better than what we have at home. The owners have simply thought of everything for your pleasure and enjoyment. Location . . . location . . . location. You can WALK to the beach and Sanctuary, although we are always on our bikes. Restaurants and things to do everywhere. This place cannot be beat! We just came back from a wonderful week at this condo. It is very clean, spacious, and has all the amenities. The description is very accurate. We don't golf at all, but there was plenty to do on Kiawah. Renting bikes to get around is a must. The accommodations are first rate. The Holloway villa was well appointed with a spectacular view of the golf course. We thoroughly enjoyed the amenities and activities the island had to offer. Must take the canoe ride! The Holloway villa is highly recommended. We had a wonderful vacation at the Holloway Villa! It is beautifully decorated and very spacious. I definately recommend Kiawah Isalnd as a vacation destination and the Holloway Villa is a great place to stay. Weekly rentals: Saturday to Saturday in Summer and Spring; Sunday to Sunday in Fall and Winter. Thanksgiving, Christmas & New Year's Weeks: $999 per week or $229/night with 4 night min. Visa, MasterCard, Discover, American Express via PayPal accepted but check preferred. 12.5% state, county and city taxes. $150/week cleaning fee. Deposit: $400 week or 25% of total daily rate to confirm reservations. Cancellations and Refunds: Cancellation 45 days in advance of arrival equals full refund. After 60 days,no refund.